BhangraFit is back at Kanuka Yoga Space! Did you enjoy our last BhangraFit class? Or are you looking at trying something lil’ different? 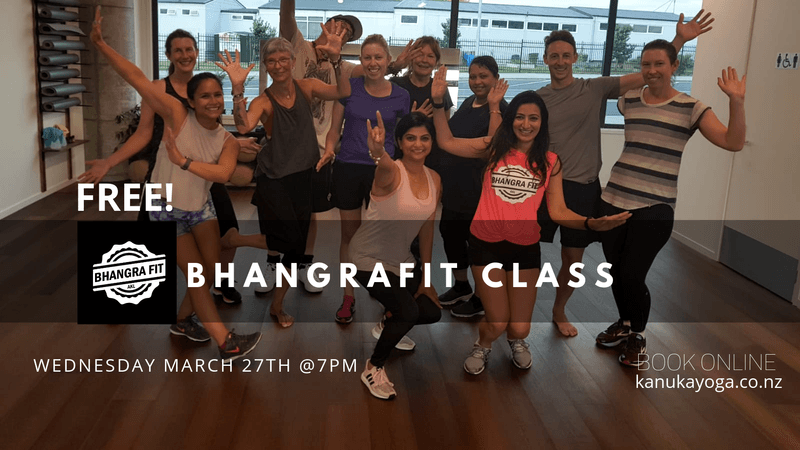 BhangraFit returns with another free class! Come along to Auckland's #1 Bhangra Fit cardio class. Burn more calories than Power Flow, and leave with endorphins pumping and feel good vibes. In a nut-shell, it's a dance-based cardio class. It is fantastic for losing weight, building stamina, developing strength and improving flexibility. Hailing from the Punjabi region of northern India, Bhangra is an age-old folk dance that was originally performed by farmers to celebrate harvest season. So, join us on Wednesday, March 27th as we move like we've never moved before. Free entry! Absolutely no dance experience necessary. Reserve your spot online at kanukayoga.co.nz or simply turn up ready to groove (with a water bottle).